"Depending on the prescription, some medications require prior authorization before coverage which, as of now, is a time-consuming process for all parties"
LOUISVILLE, Ky.--(BUSINESS WIRE)--Humana Inc. (NYSE: HUM) and CoverMyMeds, a leading health care innovation company, have recently teamed up to implement an electronic prior authorization model that allows providers to streamline prescription authorization requests, giving patients expedited access to the medications they need. Under the new agreement, physicians can submit drug prior authorizations directly to Humana via an online portal. The requests begin processing immediately and providers receive a notification of the status of the member’s prior authorization, often before the member even leaves the doctor’s office. Prior authorization is a clinical review that ensures certain medications are used properly in the appropriate circumstances, protecting the member from dangerous drug interactions or side effects, as well as undue expense. Humana’s new web-based model with CoverMyMeds eliminates several steps from the existing prior authorization process, saving time for both providers and patients. During a recent Humana pilot study, one quarter of prior authorizations quickly received an outcome electronically within minutes of submission. In addition to the fast turnaround time, there was an overall consensus among users that the website was user friendly. Many users also found it helpful to receive an online status of their prior authorization determination. In addition, one participant even noted that it took the “guessing game” out of getting access to her prescriptions. 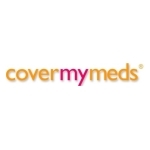 CoverMyMeds is the leader in automating Prior Authorizations (PAs), and the first step in patient adherence, helping medical offices and pharmacies submit prior authorizations and other coverage determination forms for any drug and nearly all plans. The service is free for physicians and pharmacists – to get started today, visit www.covermymeds.com, or contact our team at 866-452-5017.